May 21 - "I cannot color between the lines". *Okay, intially I posted this without explaination, but since a few asked I thought I better say a little about it. The shot was really quite easy to do. 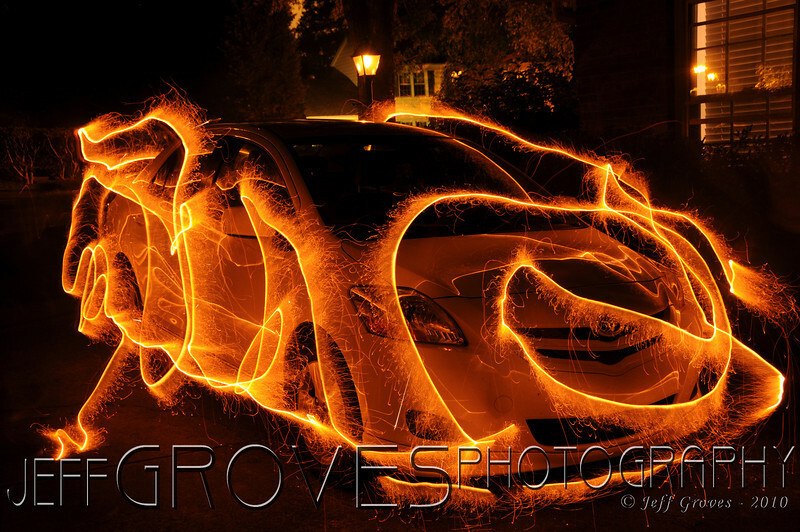 You can do it with a long exposure and a sparkler. I shot this in Aperture priorty closing my aperture enough to give me about 30 secs. A while back I came across a 20 foot fuse at the firework store and though I wasn't sure what I would use it for, I knew it would be used to set up a night time shot. The fuse worked very similar to the way sparklers work. I tried to outline the lines of the car, but it is obvious that I don't know how to color between the lines.